Adjustable height frame is 85” wide (load side) x 55” deep x 123” high (±12”) 24” adjustment. Food grade inflatable spout seal assures a dust tight seal to bag inlet. 8” diameter pneumatically actuated orifice slide gate for precise material fill control. 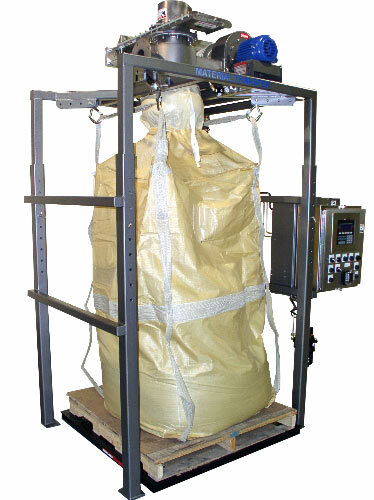 Bag inflation inlet ports on fill head with electric bag inflation system.